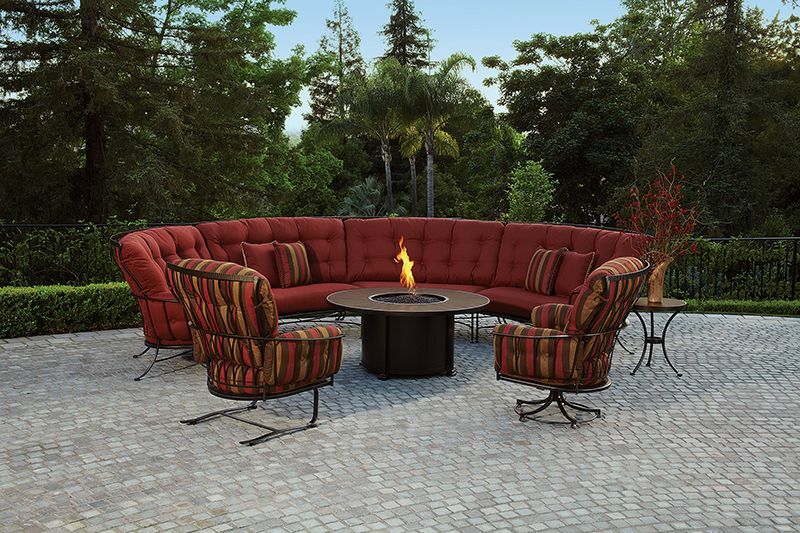 The warmth and radiance of a roaring fire doesn’t have to be restricted to your living room on a cold winter night. 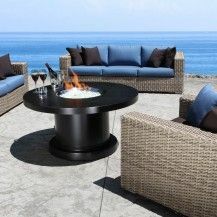 Patio Comfort carries a great selection of outdoor firepits and accessories from industry-leading brands like O.W. 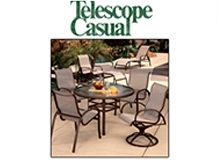 Lee, Cabana Coast, and Telescope Casual Furniture. 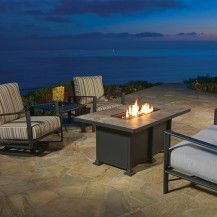 Light up the night and extend your outdoor entertaining season by adding one of these beautiful and functional installations to your patio today! 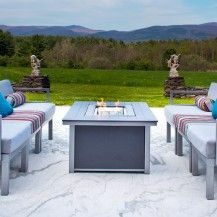 O.W. 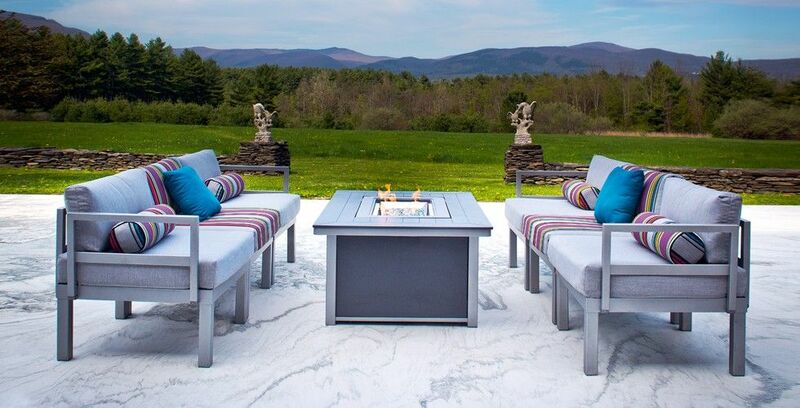 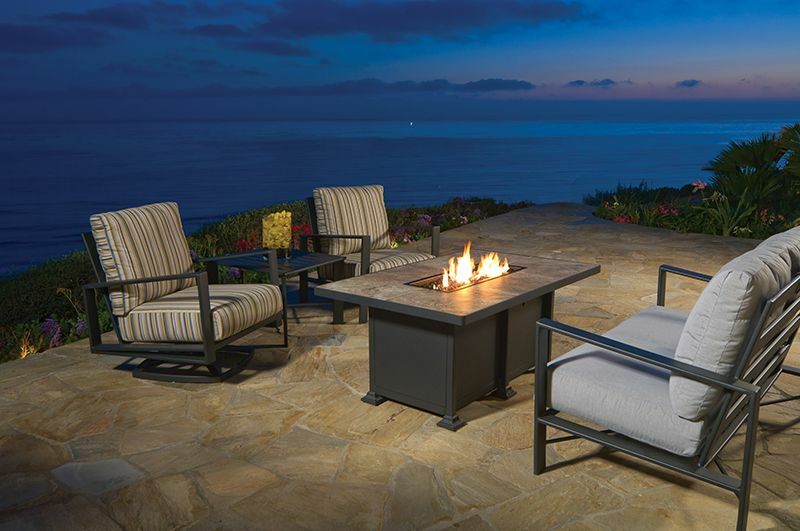 Lee is a major name in quality handcrafted patio sets, and their firepits are no exception. 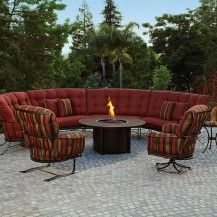 The Casual Fireside collection features beautiful firepits that bring class and warmth to your yard. 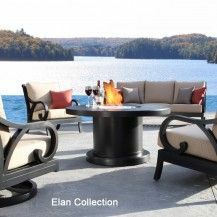 Cabana Coast carries a full line of firepits and related accessories that will wow your guests and make you the envy of your neighbours. 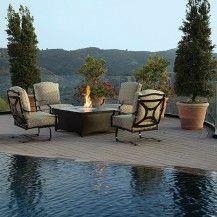 These firepits are beautiful and luxurious! 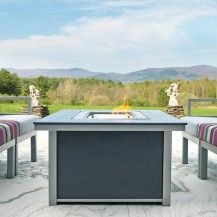 Telescope Casual Furniture has been in the business for over a century, and it shows in the quality of their handmade products. 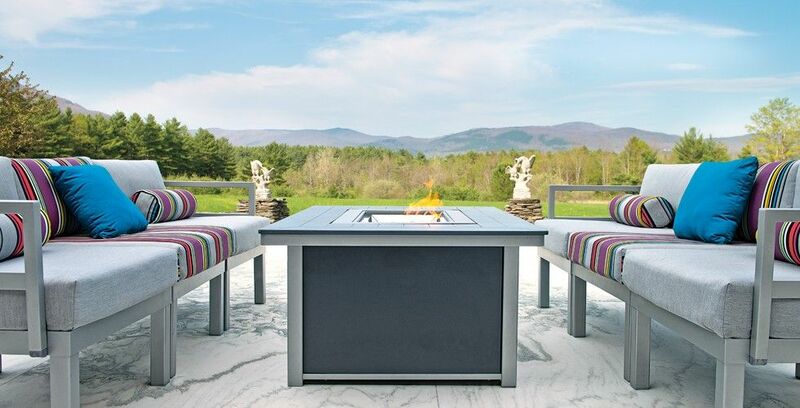 Their firepits are built to exceptional standards of design and usability. 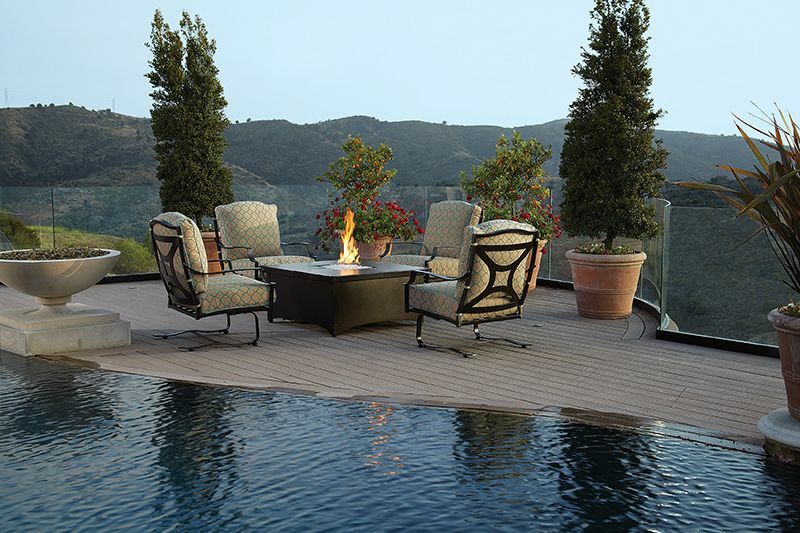 YOUR PERFECT OASIS AWAITS—CONTACT US FOR A QUOTE TODAY! 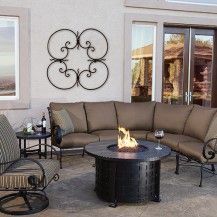 We also carry a fantastic selection of Loungers, Resin, Slings, Teak, Wicker Furniture, and Wrought Iron. 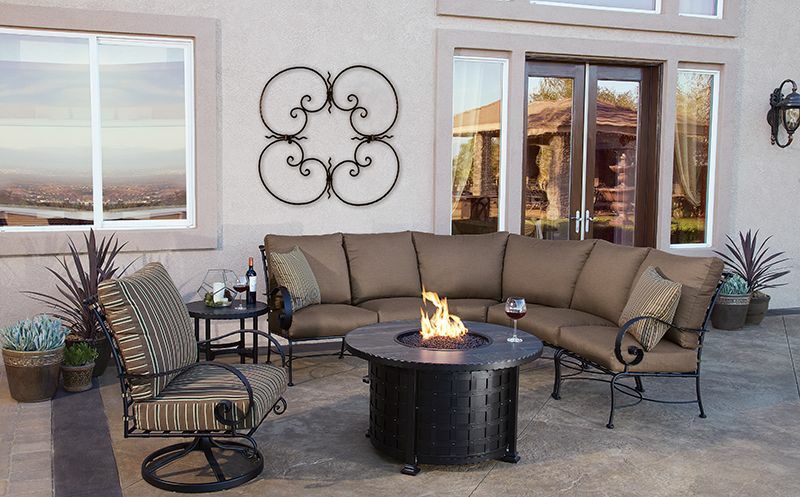 Need Accessories? We carry those, too.